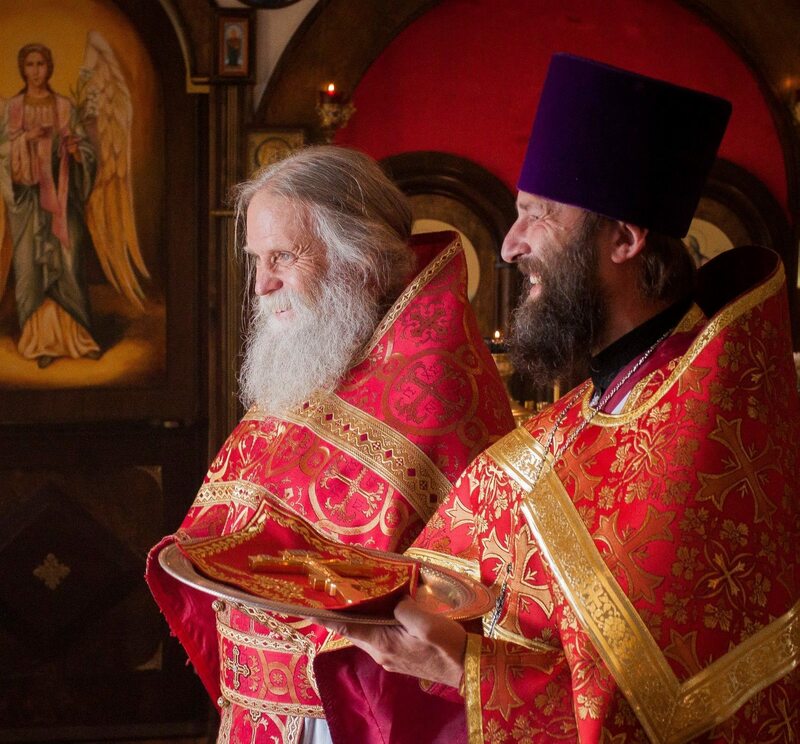 Our solemnities began on July 22 at 8:45 am with the “Lesser-blessing of the Waters”, at which time we prayed for the health of all those who by their labors, assistance and prayer supported the community over all these years. 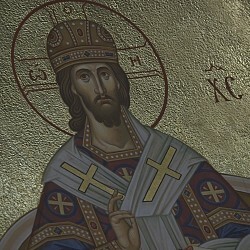 At 10:00 we solemnly greeted His Grace Bishop Theodosy and then began the Divine Liturgy. 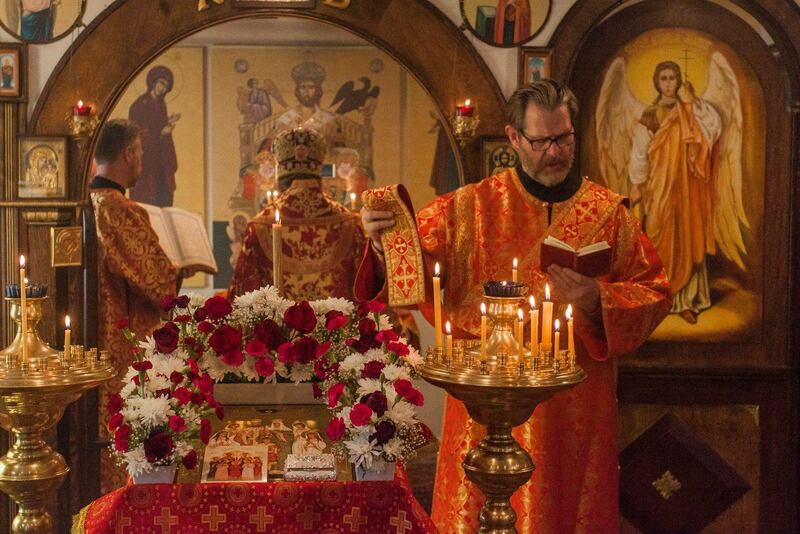 Concelebrating with him Archpriest Andrey Kudryavtzev (Reno), Priest James Barfield (Serbian Church, Reno), Deacon Alexander Gousev (Reno) and Deacon Edward Anderson (San Francisco). 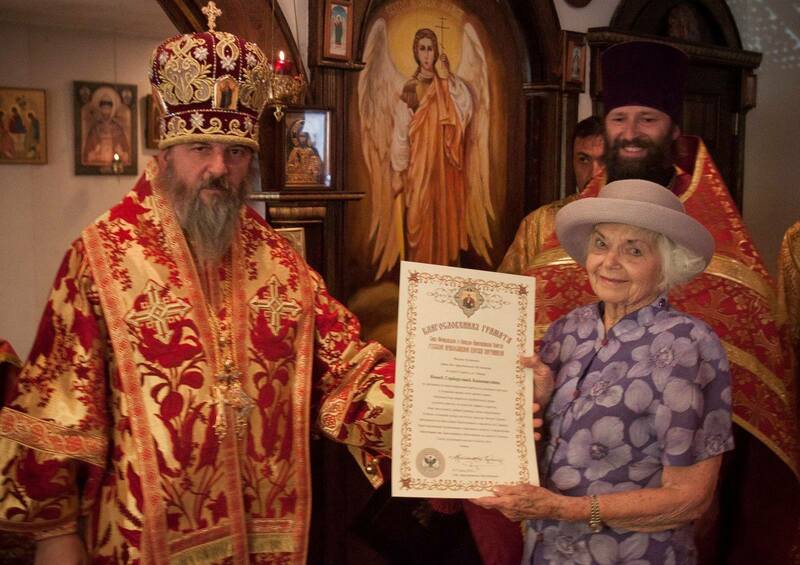 Vladyka Theodosy congratulated the parish with 18 years of existence and wished everyone continued success and help from on high in the not-so-easy task of forming a parish. 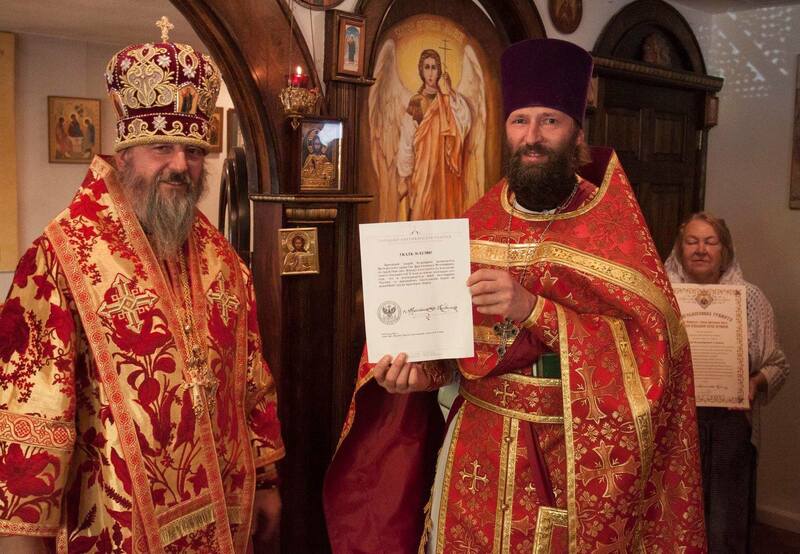 He presented the parish with an icon of the Royal Martyrs blessed on Ganina Yama and a chest with sacred earth from the mine shaft in Alavpayevsk where Holy Nun-Martyr Grand duchess Elizabeth, Nun Barbara and many members of the Royal House of Russia were thrown in alive. 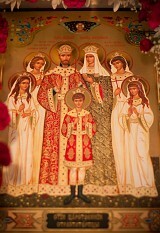 Upon the completion of Divine Liturgy, on behalf of His Eminence Kyrill Archbishop of San Francisco and Western America, Vladyka Theodosy bestowed Benedictory Tributes upon Deacon Alexander Gousev, Nonna Katsenstein, Elena Tierney, Victor Roscha, Galina Roscha, Tatiana Abdo and Lidia Sourova. 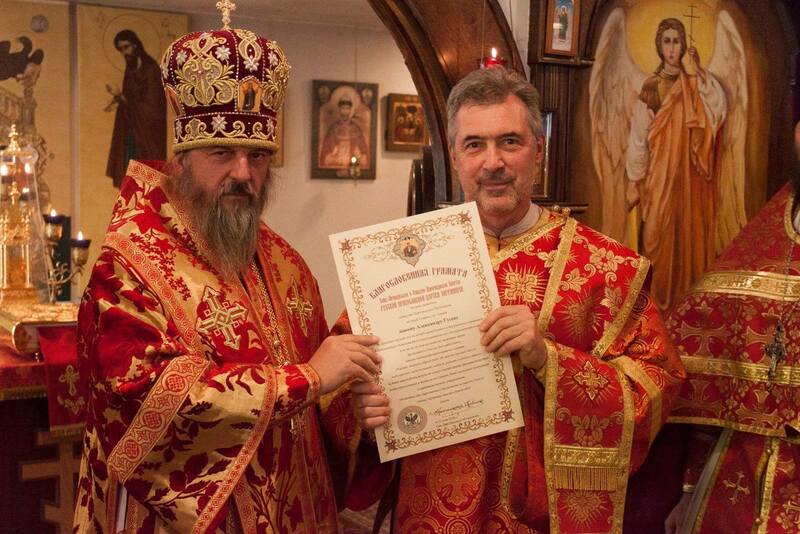 His Grace also read a Diocesan Decree, which assigned Archpriest Andrey Kudravtzev Rector as he has been nourishing the flock for the past 8 months. 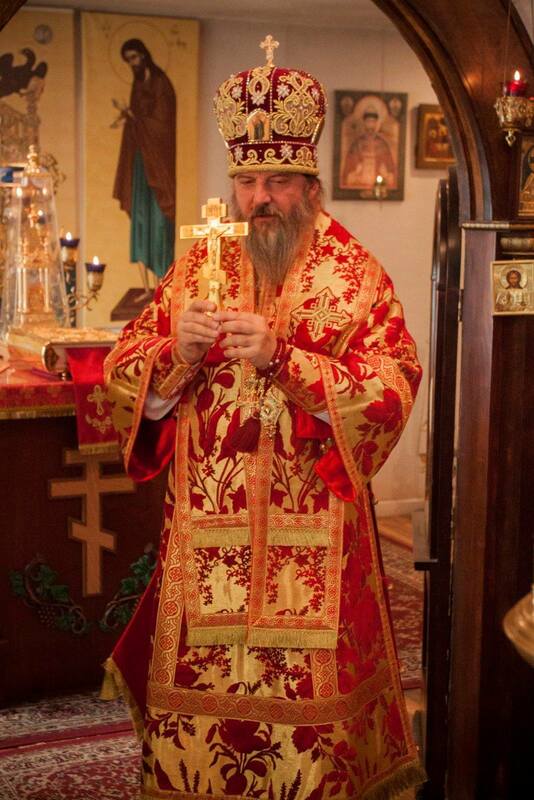 At the end of Liturgy on both July 17th and 22nd a cross procession was performed, in which our parishioners, and faithful from other parishes in California, and also our local Serbian friends participated, having come to congratulate us. Both days finished with at festal meal and a lottery.